Turbo Tube - $10 (High temperature medical grade silicone roasting tube w/ 10mm glass mouthpiece tube and 10mm hammered screen. Extra silicone sleeve, screens, and a poly storage tube are included.) Silicone fits perfectly into storage cap for pre-loading or saving for later. 14mm GonG End All Glass Roasting Tube - $30 (14mm glass tube w/ 14mm GonG end and a 10mm glass bowl w/ 10mm screen. Extra screens are included. Available in 2.5”, 3”, and 3.5” lengths.) 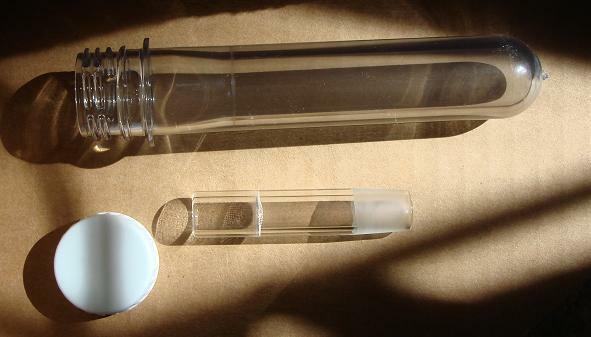 Large storage tubes are available for the 14mm glass tubes. 14mm Plain End All Glass Roasting Tube - $18 (14mm plain end glass tube and a 10mm glass bowl w/ 10mm screen. Extra screens are included. 3.5” length.) Large storage tubes are available for the 14mm glass tubes. 14mm WonG End All Wood Roasting Tube - $25 (14mm wood tube w/ 14mm Wood on Glass “WonG” end and a 10mm wood bowl w/ 10mm screen. Extra screens are included. Available in 2.5”, 3”, and 3.5” lengths.) Exotic wood $27. 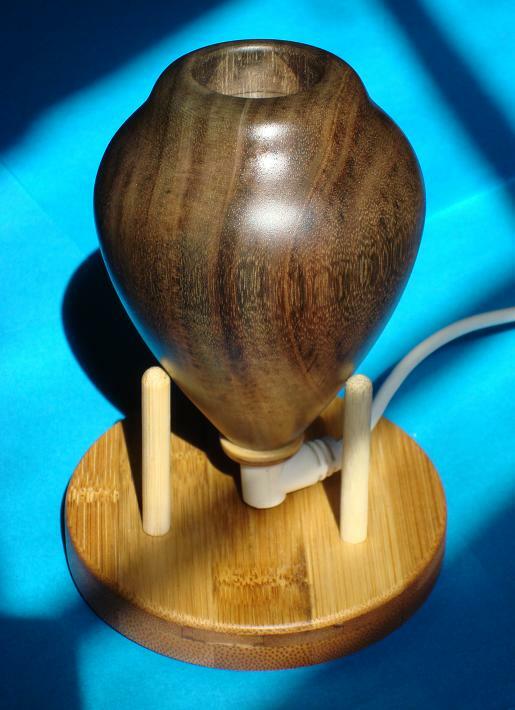 Large storage tubes are available for the 14mm wood tubes. 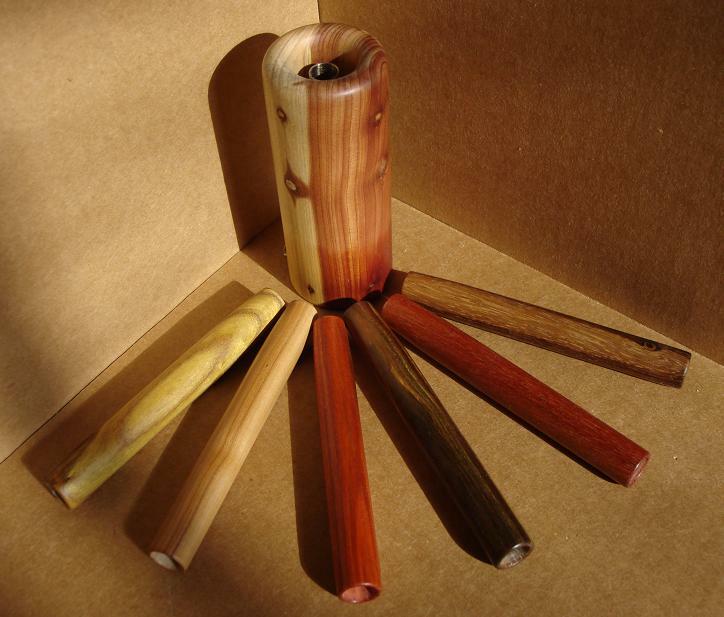 13mm Plain End All Wood Roasting Tube - $20 (13mm plain end wood tube and a 10mm wood bowl w/ 10mm screen. Poly storage tube and extra screens are included. 3.5” length.) Exotic wood $22. 18mm WonG End All Wood Roasting Tube - $25 (18mm wood tube w/ 18mm WonG end and a 10mm wood bowl w/ 10mm screen. Extra screens are included. Available in 2.5”, 3”, and 3.5” lengths.) Exotic wood $27. 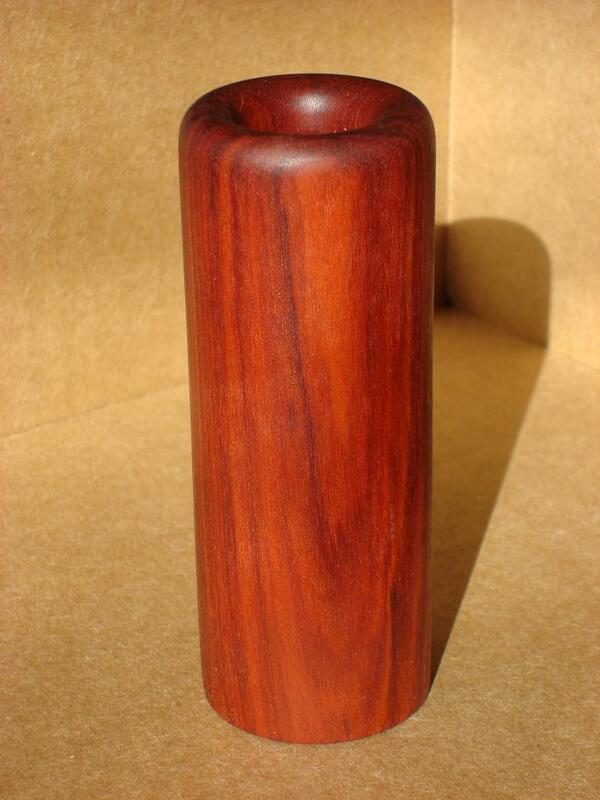 Large storage tubes are available for the 18mm wood tubes. I am currently making two styles of Stainless Steel Roasting Tubes. Slide-In and Dimple. 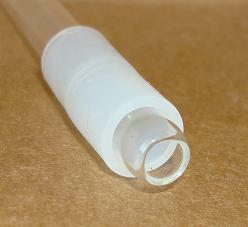 They are set into glass, wood, or high temperature polypropylene mouthpiece tubes. Specify the tip style and mouthpiece material when ordering. 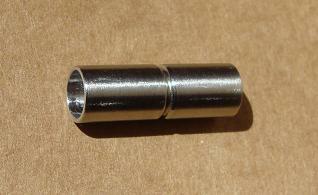 5/16” Stainless Steel Slide-In Tip Roasting Tube - $8 (Two 5/16” SS tubes coupled with a 3/8” SS tube. 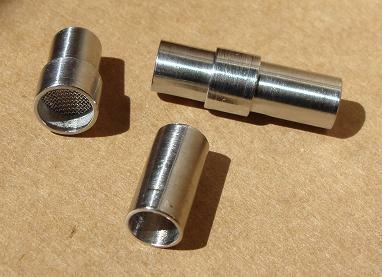 A 5/16” screen is captured between the two 5/16” SS tubes. Extra screens are included.) Requires a glass, wood, or poly mouthpiece tube for use. 5/16” Stainless Steel Dimple Tip Roasting Tube - $5 (Single 5/16” SS tube w/ a dimple to hold the ¼” screen. Extra screens are included.) Requires a glass, wood, or poly mouthpiece tube for use. 14mm WonG End Wood Mouthpiece Tube for SS Roasting Tube - $25 (14mm wood tube w/ 14mm WonG end and other end for 5/16” SS roasting tube. Extra screens are included. Available in 2.5”, 3”, and 3.5” lengths.) Exotic wood $27. 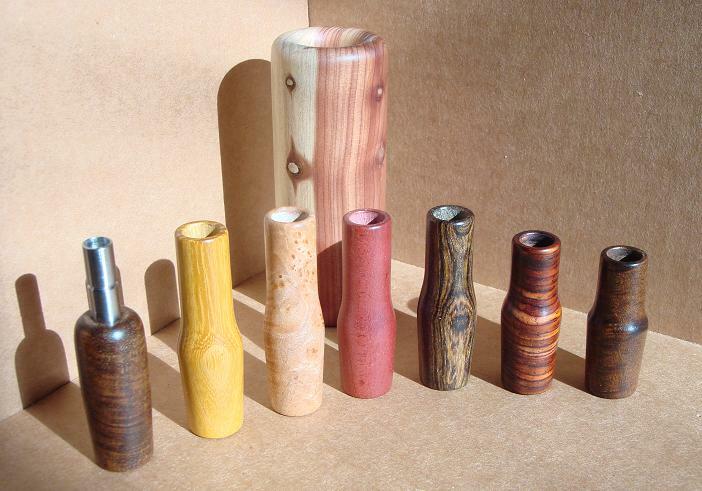 Large storage tubes are available for the 14mm wood tubes. 13mm Plain End Wood Mouthpiece Tube for SS Roasting Tube - $20 (13mm wood tube w/ plain end and other end for 5/16” SS roasting tube. Poly storage tube and extra screens are included. Available in 2.5”, 3”, and 3.5” lengths.) Exotic wood $22. 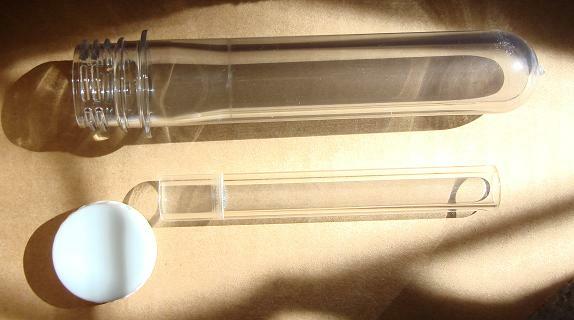 14mm PonG End Polypropylene Tube for SS Roasting Tube - $25 (14mm polypropylene tube w/ 14mm Poly on Glass “PonG” end and other end for 5/16” SS roasting tube. Extra screens are included. Available in 2.5”, 3”, and 3.5” lengths.) Large storage tubes are available for the 14mm poly tubes. 18mm PonG End Polypropylene Tube for SS Roasting Tube - $25 (18mm polypropylene tube w/ 18mm PonG end and other end for 5/16” SS roasting tube. Extra screens are included. Available in 2.5”, 3”, and 3.5” lengths.) Large storage tubes are available for the 18mm poly tubes. USPS priority shipping is free in the continental USA if your order includes a Toasty Top or Heat Island, otherwise it is $6 for a small box or $2 for padded envelope. Paypal is accepted and links added shortly. Contact Alan for purchase and other details.